Haryana, one of the fastest growing economies is widely acknowledged for its multicultural society, state of the art infrastructure, cohesive environment for industries and trade. The state's resources, policy incentives, infrastructure and climate are best suited for investments in diverse sectors such as Real Estate, Affordable Housing, biotechnology, Information Technology (IT) etc. The state is blessed with an abundance of resources and capabilities and the state has adopted multi‐pronged strategy to implement & promote them with the aim of achieving comprehensive and balanced economic development of the state. On the backdrop of this massive growth path spearheaded by Hon’ble Chief Minister of Haryana Sh Manohar lal Khattar, National Real Estate Development Council (Naredco) is privileged to present Rising Haryana “Affordable Housing & HRERA Summit – 2018” . 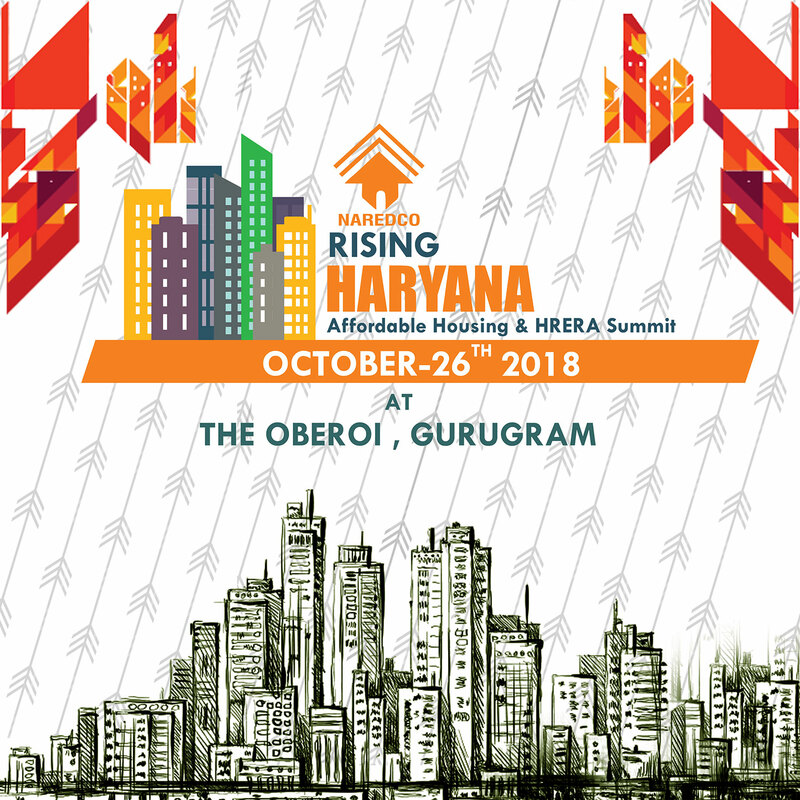 Rising Haryana -“Affordable Housing & HRERA Summit – 2018” is an Integrated Environment as well as a cohesive one Days Industry Commemoration, It attract top players of real estate industry, builders, developers, potential buyers i.e. CEOs, Senior Executives, personalities from real estate industry, media, FII's, investors, HNI’s, doctors, lawyers, engineers, buyers of commercial & residential properties, developers, Govt. Representation, Investors, Banking & Loaning Managers, Marketing Agents, Mortgage Agencies, Allied Industry, and all who are directly related to the Real Estate, Infrastructure & Allied Industry. The summit will examine the various financing options for developers and individuals as well innovative construction methods using economically viable energy efficient technologies. It will also review housing policies, promote capacity building of local governments, as well as explore urban planning and redevelopment initiatives which are being adopted across the state to meet the explosive demand for affordable housing. HRERA Gurugram headed by Chairman, Shri K K Khandelwal, IAS is setting a benchmark for ethics and transparency. The modest operandi of the model will be explained in the Summit for highlighting the significance of real estate regulation in the city state to promote home ownership across all segments of property owners.